Just the right space in just the right location! 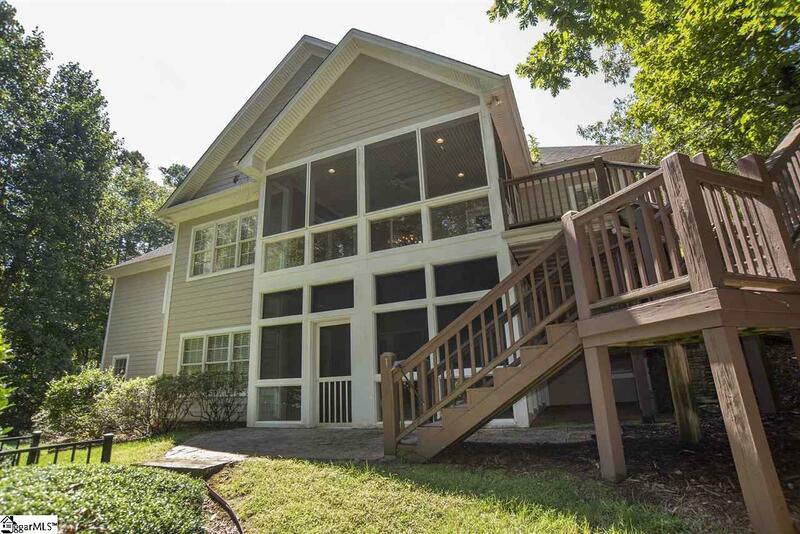 This 4+ bedroom and 3.5 bath home is located in one of the most convenient and sought after developments on Lake Keowee, The Summit. The main level is an inviting split bedroom floor plan and features hardwood floors throughout. Along with 3 bedrooms and 2.5 baths, the main level also offers a bright home office, formal dining room, living room with stone fireplace and built-ins, kitchen and breakfast nook. The master suite has 2 closets, double vanities, tile walk in shower and jetted tub. The 2 guest bedrooms on the main level share a jack and jill bath and are perfect for growing children or adult guests. One of two large enclosed porches is on the main level and it's the ideal place to enjoy the privacy and shade of the Summer months, the seasonal lake views in the Winter, and the year round sound of the creek at the back of the property. The daylight lower level presents great living space for all of your needs. There's a huge recreation room that can house game tables as well as a secondary living room. Also on the lower level is a 4th bedroom and 3rd full bath, exercise room, play/bunk room, second covered and screened porch and storage/mechanical space. The lower level walks out to a patio and leveled back yard. 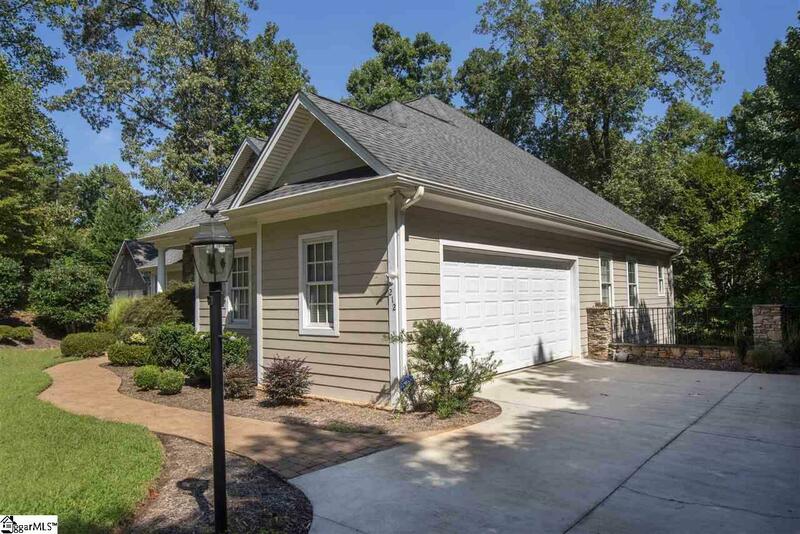 Included with the home is the rights to your deeded boat slip #48 located within the community. The Summit offers a community pool with incredible views, clubhouse, tennis court, kayak launch/storage, playground and gated storage area. 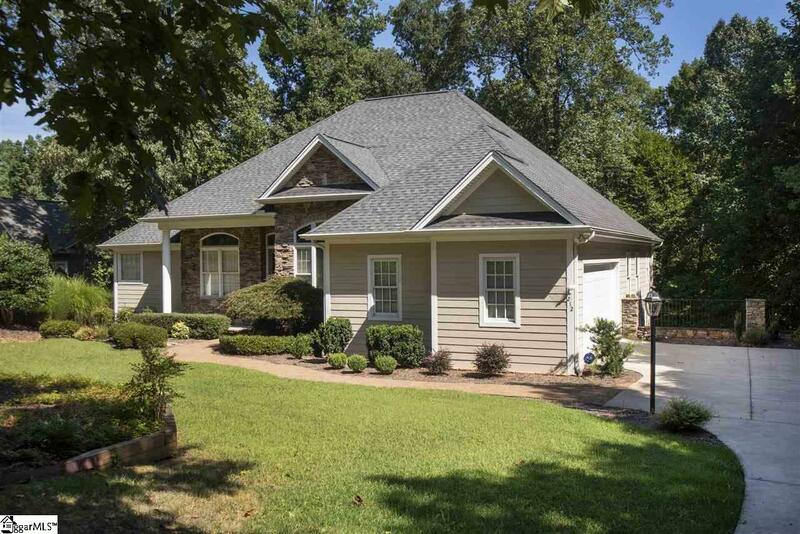 This is a well maintained home with a lot of upscale features. Recent updates include: New HVAC 2018, Exterior painted 2016, radon mitigation system, and new flooring in basement 2018. 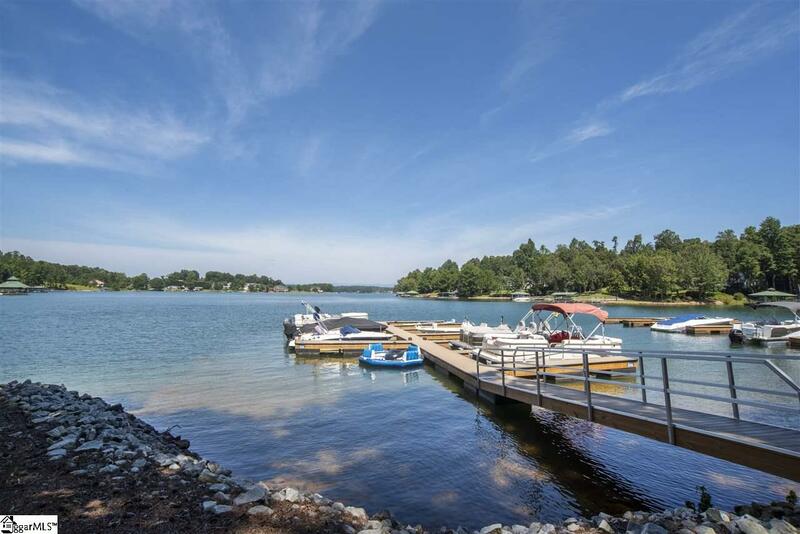 Listing provided courtesy of Greg Coutu of Allen Tate - Lake Keowee Water.